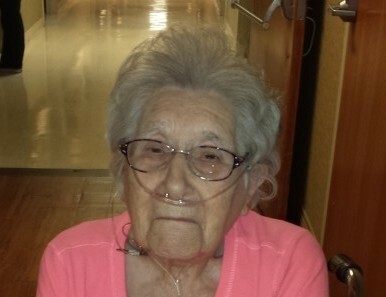 Mary Helena Gordon age 93, of Holgate, died early Saturday morning, January 19, 2019 at Vancrest of Holgate. Her Legacy… She was born February 9, 1925 to Fred and Inez (Hagen) Binger in Holgate. She married Frank Gordon in 1944. Early in her adult life, she worked in the office for Toledo Edison. She also worked for the Farmers Elevator, the former Meyer Market and the former Quality Care Nursing Home, all in Holgate. Mary thoroughly enjoyed playing the piano and organ. She was a member of and the organist for St. John Lutheran Church, Holgate. She was also a member of the Holgate American Legion Auxiliary. Her Family… She is survived by her son Ken Gordon, Oakwood, two grandsons, and two great granddaughters. She was preceded in death by her husband Frank and a brother Fred. Her Farewell Service… Friends will be received in the Zachrich Funeral Home, 114 William Street, Holgate on Tuesday from 3-7:00 pm and one hour before the church service. The celebration of Mary’s life will be Wednesday, January 23, 2019 at 11:00 am in St. John Lutheran Church, Holgate. Burial will follow in the church cemetery. Contributions made in Mary’s memory can be made to a charity of your choice.